6-figure plugin. 7-figure agency. And now, Gaps. We’ve collectively been building websites for 14 years, and finding gaps in the market (the premise behind gaps) has been integral to our success. At 16 years old I (Glen) started my first website focused on DJ’s. It was uncreatively called MyDJSpace and launched at the height of MySpace’s popularity. The site quickly passed 10,000 users and was even featured in the book Dj’ing for Dummies, but the three founders (of which I was one) drifted off into other projects. Almost two years later, at 17 years old, I left my friends and family to move to Cape Town, South Africa (from Newcastle, England), to work for a digital agency offering marketing solutions for brands like Hewlett Packard, Land Rover and Bacardi. I didn’t know a single person in South Africa and as an introverted teenager, quickly had to grow up and take more responsibility for the life I was living. As I was learning so much about the world around me, I decided to start a personal development blog to document my thoughts on productivity, motivation and purpose. That blog was called PluginID. It’s no longer online but looked something like this. As I was working for a marketing company and had a serious passion for SEO (Search Engine Optimisation) I worked hard to write good content and to get people visiting my website. I would love to say PluginID became an overnight success in the personal development world, but the truth is that it took me eight months of blogging twice per week to reach 1,000 subscribers. Back then building an email list was not a “thing” and I focused solely on gaining RSS readers. Fortunately, exponential growth started to kick in and 4 months later, I had reached 4,000 subscribers. When I sold the blog, 18 months after launch, the Feedburner chicklet used to track RSS subscriptions had just ticked over 7,000 subscribers. Although PluginID was my “baby” as it was a very personal venture, I decided it was time for someone else to take on the blog and it’s next chapter. I sold the site for a mid five-figure fee and it was one of my first real successes online. I truly believe that the primary reason that PluginID was successful is because I found a gap in the market when it came to traffic generation. Guest blogging was just becoming a ‘thing’ and I decided to milk it for all it was worth. In a single month my writing was featured on over 20 other blogs in the space, and I probably wrote 50+ articles for other websites. Some of which were huge at the time, such as Leo Babauta’s Zen Habits which reaches millions of visitors per month. Today guest blogging is more frowned upon and a tactic mostly used by those looking for higher search engine rankings, but when I saw that writing for other people’s blogs was often able to send me hundreds of new readers, I capitalised on the opportunity. Before PluginID I had started my own SEO “agency”, ViperChill.com. It’s this website that led to me being offered the marketing job in South Africa. The name was a combination of my favourite car at the time, the Dodge Viper (thanks to the Playstation game Gran Turismo) and just a word I added on the end to make the brand seem ‘relaxed’ (hey…I was 16). Similar to starting PluginID to share what I was learning about the world, I had started ViperChill to document my experiments with how to rank websites in Google, and later to offer services to those wishing to do the same with their own sites. After 18 months of trying to grow the brand not a single person reached out to pay me for marketing services so, besides the job offer, it was a mostly failed venture. Someone suggested to me that I should add a blog to the website to show I knew what I was talking about. At the time WordPress was just taking off as a blogging platform so I added it to my website and started writing. 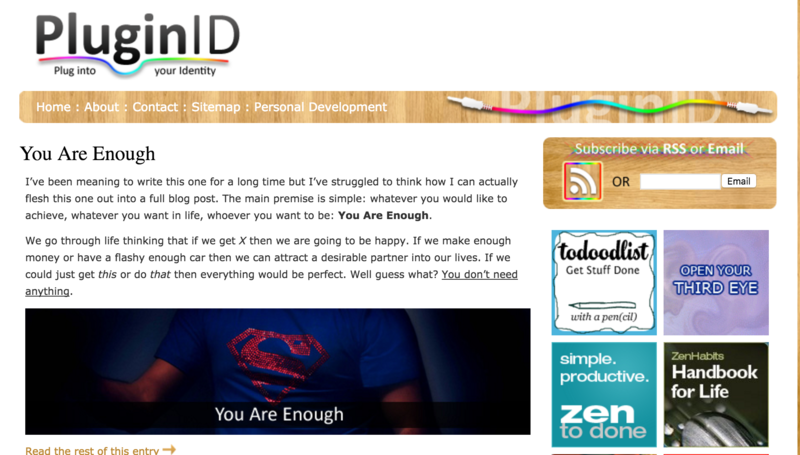 Back then the blog looked like this. While I did eventually attract clients willing to pay me for search engine optimisation services, my success was so sporadic that the results were far from what I could call a success story. Fewer people were trying to gain RSS subscribers and instead people were giving their email addresses to subscribe to future blog updates. At the time I was using Aweber for my email list and the options it had in place for designing your opt-in forms was fairly minimal. This was well before people were using content upgrades or pop-ups to gain new leads. This presented me with my next gap in the market: I needed a better way to collect emails and wanted to split-test opt-in forms for maximum conversions. I teamed up with one of my best friends and incredible developer, Graeme Boy, to create a plugin we named OptinSkin. 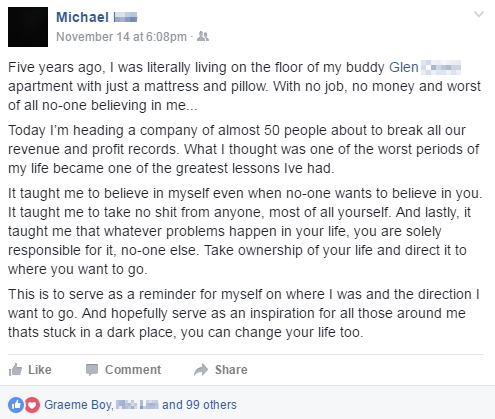 (Side note: Today, 5 years later, Graeme is working for an incredible start-up in San Francisco which has raised millions of dollars called Raise.me. I couldn’t be happier for his success). Though we had many hiccups along the way with OptinSkin, it was a product we were both incredibly proud of. 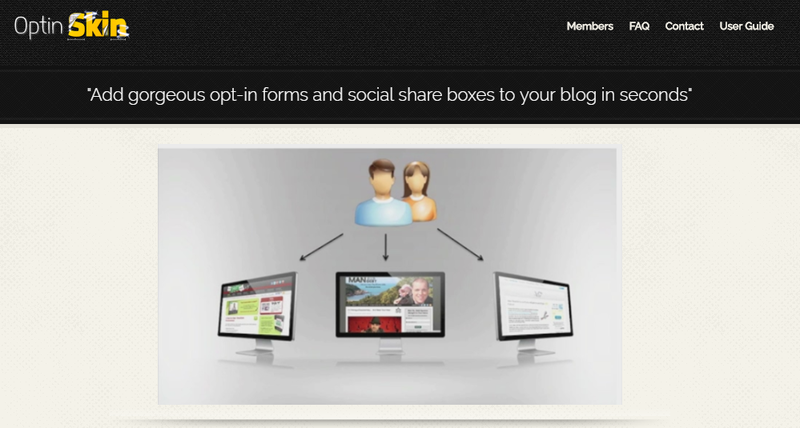 As far as I know, we were the first ever WordPress plugin to offer split-testing for opt-in forms. For three years it was the number one best-selling product on Clickbank in the ‘software’ category, and generated a few hundred thousand dollars in that time period. A few years back I sold OptinSkin as it was hard to support something when you’re not a programmer yourself, but it’s nice to see (unlike PluginID) it’s still live today. I can’t say whether or not it is still being updated though. The site you see is the site I created way back when, along with the cheesy promo video. If you’ve read the entirety of this page then you’ll know that my first foray into running an SEO agency was a total failure. I loved SEO (and still do today) but just couldn’t convince anyone to hire me for my services. That brings us to gap number three. Along with my business partner Diggy, we realised that creating SEO companies for specific regions (like Singapore) and industries (like Automotive) made the challenge of closing clients 100x easier. Today around 70% of businesses are pitched SEO services at least once per week so it’s a tough market to crack and stand out in. However, instead of offering every kind of service to everyone – as I did when I started ViperChill – we were now branding ourselves as “The SEO agency for businesses in Singapore” and angled all promotions as only working with that local area. Potential clients started thinking “This is the agency for me” rather than “Not another pitch from an SEO guy”. As of writing this we have 11 agencies focused on specific markets, with 2015 being a record year for us, bringing in (very low) 7-figures, which was mostly profit. SEO is basically my ‘thing’, and it’s what I focus on the most. I still write about it over at ViperChill. My work has picked up a bit of traction over the years and quite a bit of press in newspapers like The Guardian and websites like Forbes. That’s the former head of SEO at Microsoft using my information on 16 companies dominating Google (right side of the slide) in a recent presentation. The biggest problem I’ve encountered in my online journey is having too many ideas and spreading my work efforts too thin. Literally on a daily basis I come up with new website ideas I would love to create and implement myself. However, I quickly learned to say ‘no’ to more projects than yes. 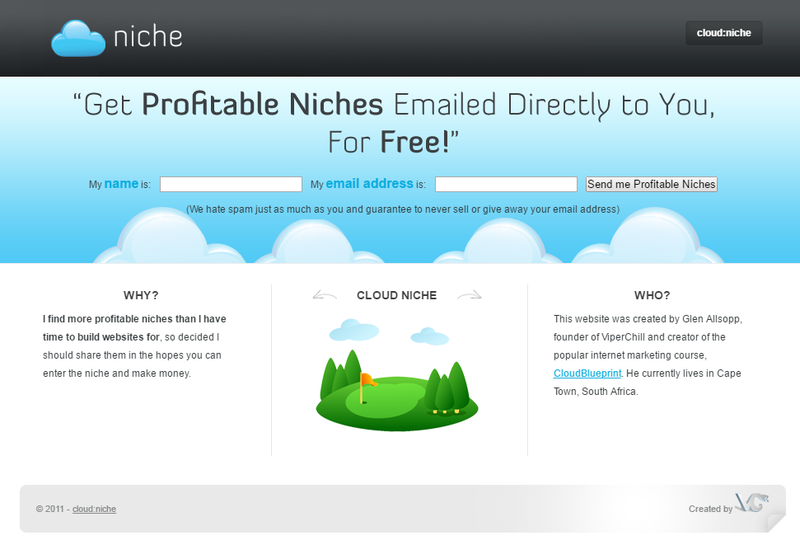 In 2011 I launched Cloud niche, an email list focused on sending those website ideas to my audience at ViperChill. Here’s how that site looked. I only sent 8 niche ideas to email subscribers, but received over 1,000 “thank you” email replies in return. Ironically, I would later go on to brand cloud niche as the world’s worst email list. While people seemed to love the ideas, so few (if any at all) seemed to take action on them. Many would report to me that while they loved the ideas, they too were focusing on too many projects, and they just wanted to get new ideas to “see how my brain worked”. Because I didn’t want people to experience the same problem as me – having too many ideas to focus on – I decided to close the list. However, as my mind works, I still couldn’t stop finding great success stories with potential gaps in the market that I could capitalise on. 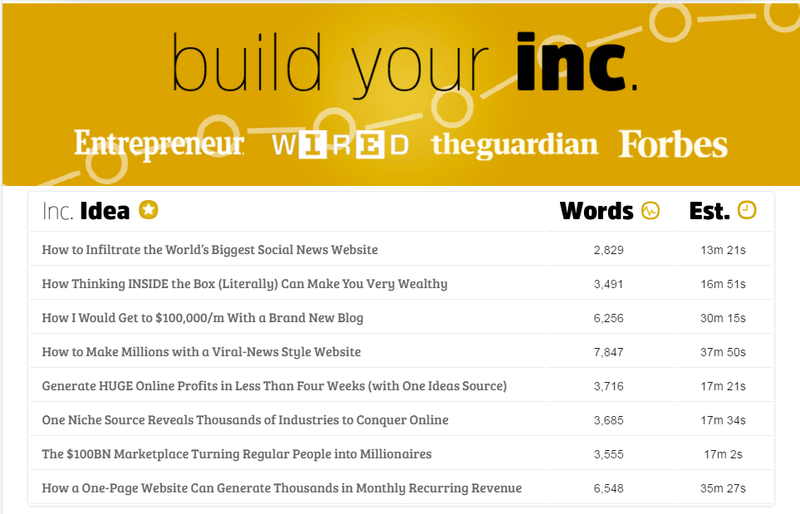 More recently, around 18 months ago, I relaunched and rebranded the email list as ‘inc ideas’. Because I was more focused on writing about SEO rather than niche ideas, the number of updates I sent was once again fewer than ten. Each time I’ve shared a business opportunity, the feedback has always been incredible. However, me sharing these ideas has always been an ‘add-on’ to ViperChill, rather than something I really focused on updating on a frequent basis. Gaps was created to change that, and create a home for these ideas that plague my mind and almost distract me from what I’m already working on. In other words, I need to write about these incredible opportunities, and gaps is the new home for that. Unlike previous attempts to inspire people with incredible business opportunities, I’m now sharing detailed action plans to go along with every opportunity, in the hope that people will take action and be successful. After all, there are people who have had success with the information I’ve covered. I truly hope you enjoy what we’re creating here, and if you’re interested in future updates, please do consider subscribing (it’s free). We send emails 24 hours before our posts go live on social media so you can be the first, to be the first.